A charming vintage Christmas wreath by ART is offered for your consideration. 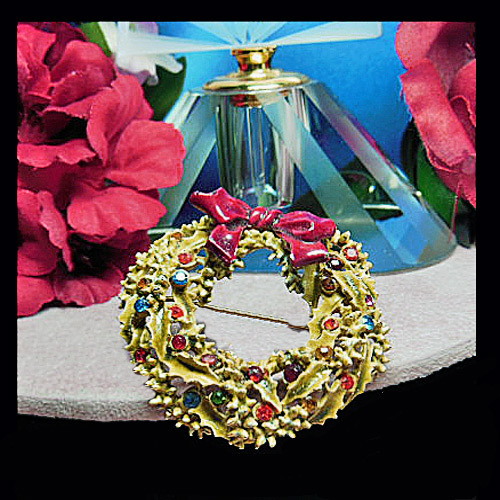 The back has a brushed gold tone finish and the front of the wreath is fashioned in a composition type material set with multi-color rhinestones. It has a raised design of holly leaves and berries and a dimensional red enamel bow at the top. It measures 2" and is in great condition.